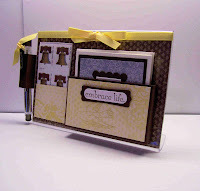 This is a desk set with six 3 x 3 gift cards and a holder for stamps and a mini gel pen. 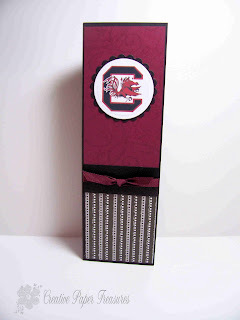 I think this is just darling and would make a cute gift for that special someone. 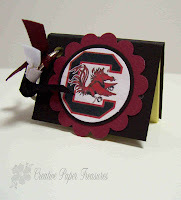 The pocket holding the note cards will also fit the 3 x 3 pads of post-it-notes. 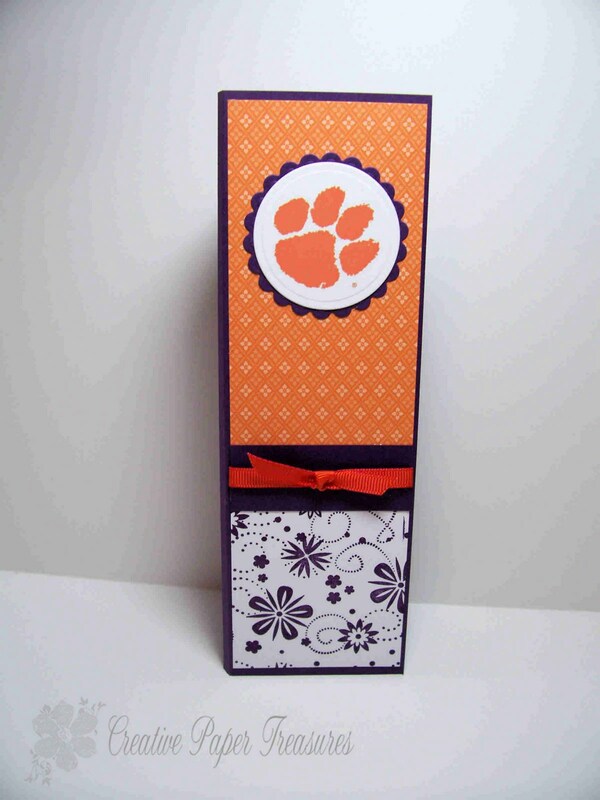 This Clemson Gift Set is just like the one listed in the previous post. It includes a list pad, 3x3 post-it-note with pen and a keyring with mini post-it-note in the Clemson college colors. 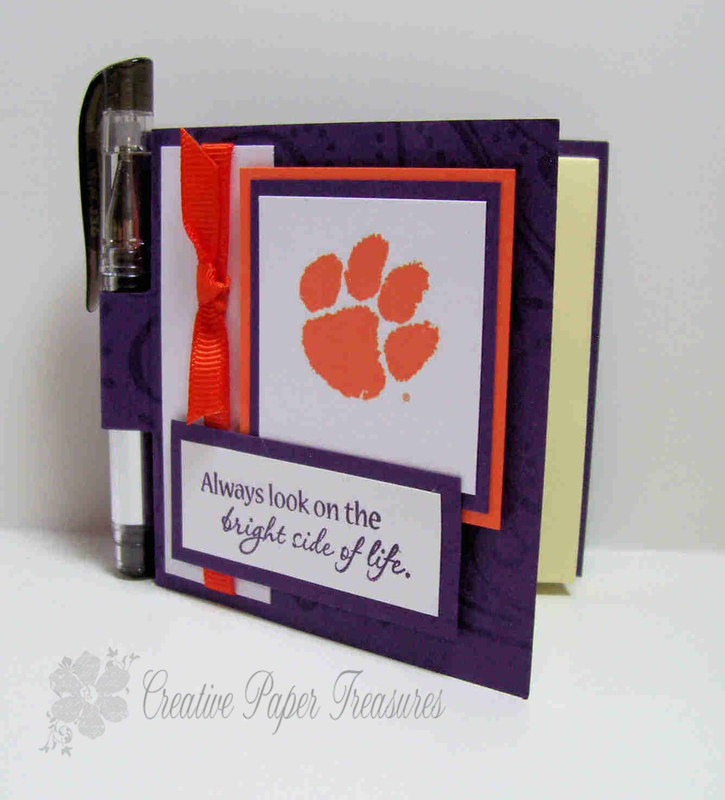 Clemson List Pad: $8.50 each plus $4.95 priority shipping up to two items. Clemson 3 x 3 Post-it-Note with Pen: $8.50 each plus $4.95 priority shipping up to four items. 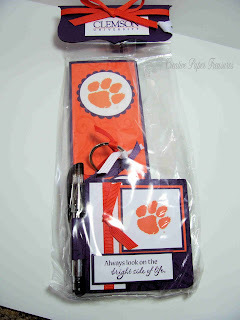 Clemson Keyring with mini Post-it-Note: $4.00 each plus $4.95 priority shipping up to ten items. Looking for a different gift idea for college students, fans or avid supports of the rival universities in South Carolina? Here is a wonderful gift set made to please everyone. This gift set includes a list pad, 3x3 post-it-note and mini pen and a keyring with mini post-it-note. This makes a wonderful present for birthdays, Christmas or whatever occassion. Use the list pad for a shopping list, or jot down assignments and reminders. The 3x3 post-it-note with mini pen will fit easily in your purse or pocket. You will always have a pen and paper handy to jot down notes. The keyring is just perfect to hook on your purse strap or car keys having a little post-it-note readily available to leave a small message for someone. Of course, you can also purchase these items separately. List Pad: $8.50 each plus $4.95 priority shipping up to four items. 3x3 Post-it-Note with Pen: $8.50 each plus $4.95 priority shipping up to four items. 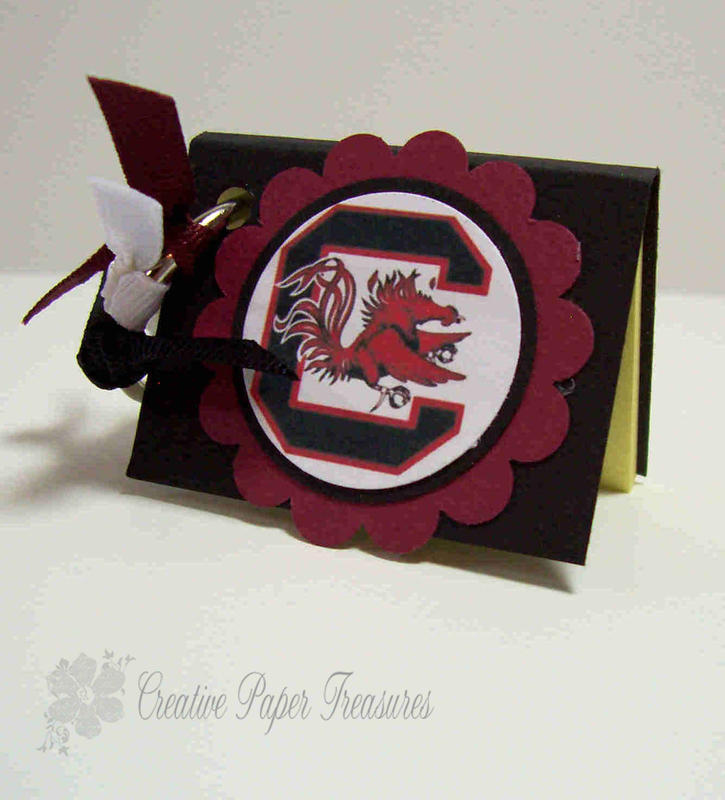 Keyring with mini Post-it-Note: $4.00 each plus $4.95 prioirity shipping up to 10 items. 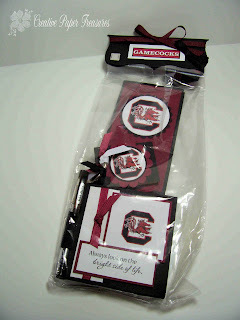 Looking for a cute gift to give someone or just to keep for yourself? This card tote has two pockets. One pocket holding five blank cards and envelopes for different memorable ocassions and the other pocket holds a small spiral bound notepad and a mini gel pen. 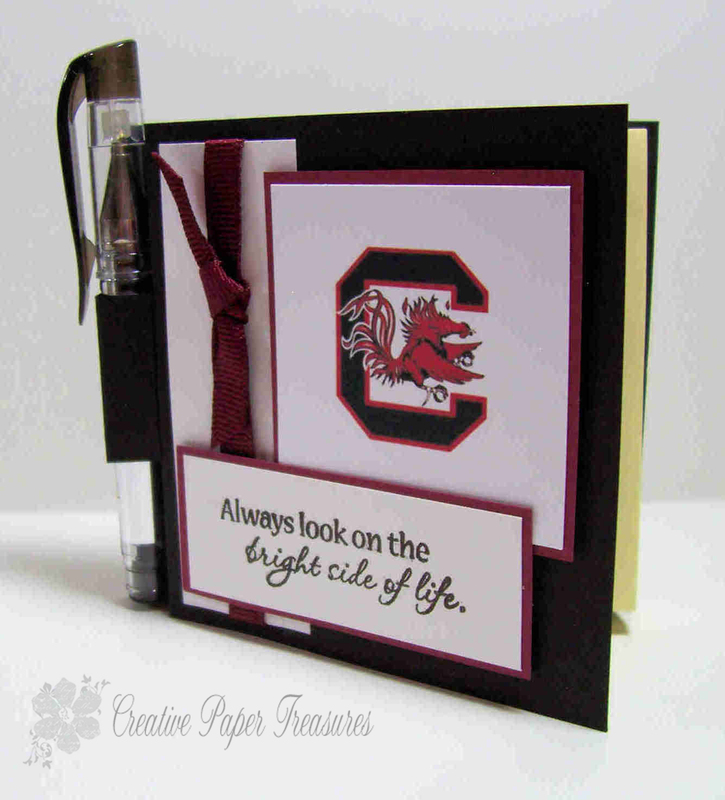 These gorgeous cards just sparkle with your greeting to your friends or family. 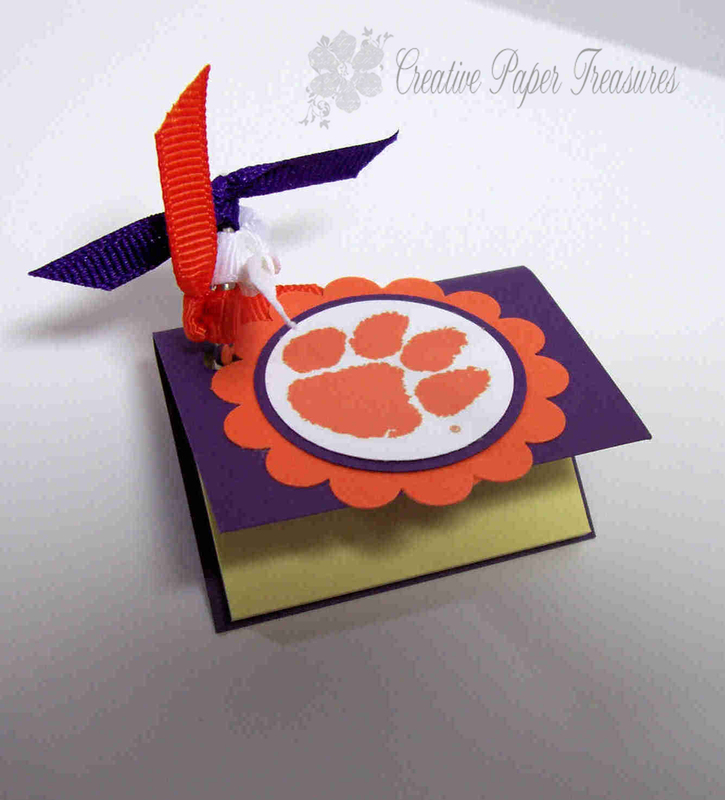 The cards are blank inside for you to personalize with your own thoughts and message. 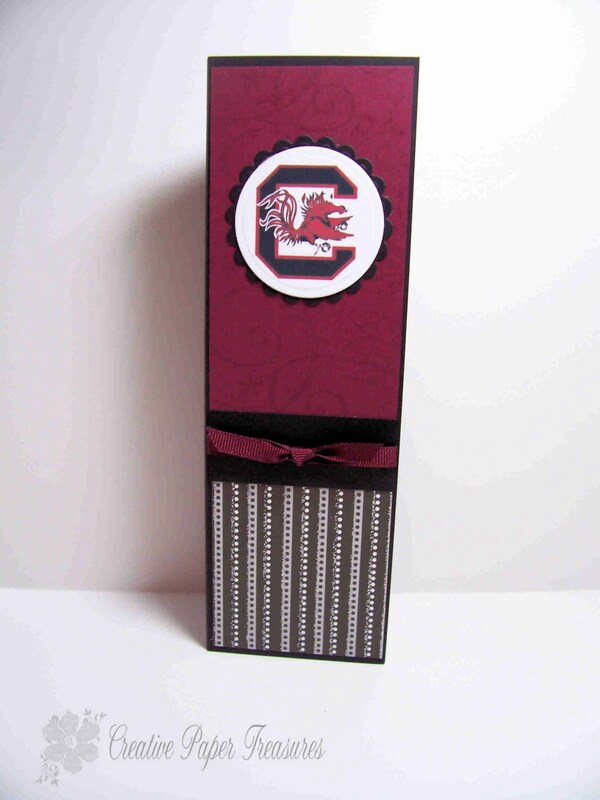 This is a perfect gift to give that someone who has everything. 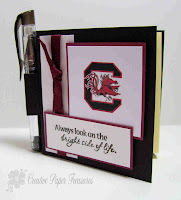 Just add the postage stamps and it makes a wonderful and beautiful gift. There are only a limited number of these available. 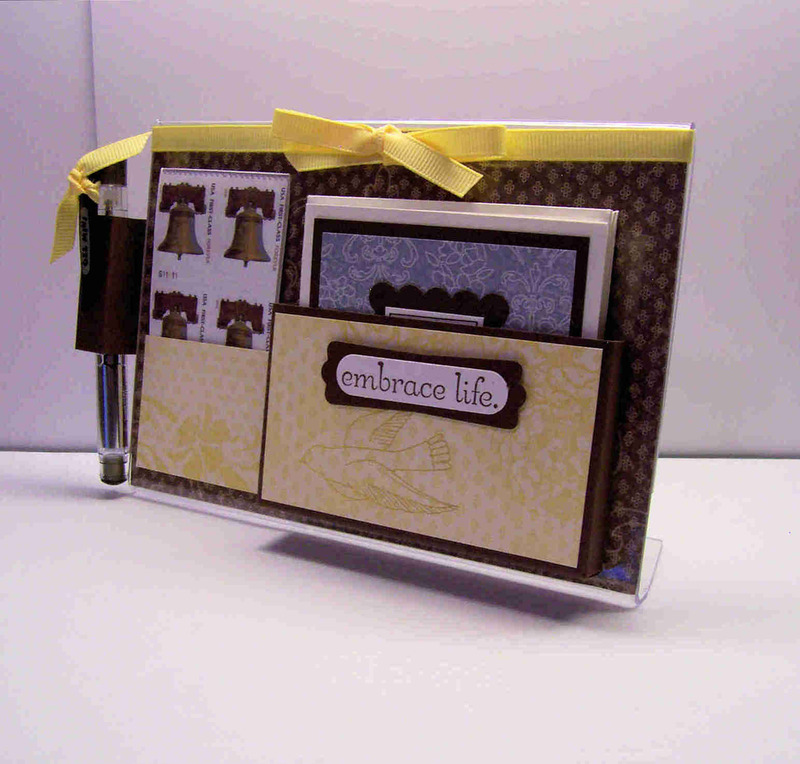 Price for the beautiful card tote and cards is $8.50 plus $2.50 first class shipping in the U.S.
International shipping add $7.00 US Dollars. 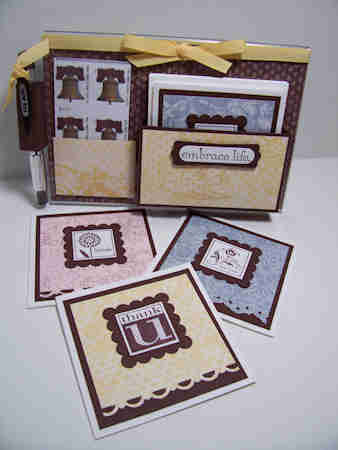 A set of six 3 x 3 gift cards in its own box containing an assortment of birthdays, thank yous, get wells and best wishes. 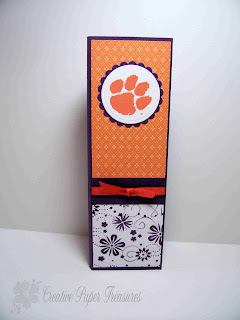 A beautiful floral design on box as well as each card. 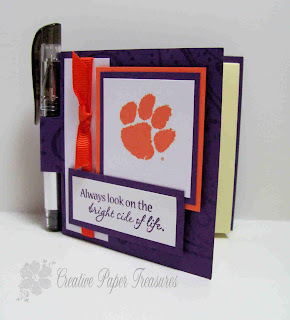 These cards have a sentiment printed inside with matching envelopes.